pretty little things i love / vol 3. A | GOLD TRAY | ROSE PINWHEEL BIB NECKLACE | EMBELLISHED BLOUSE | CHEETAH TBs | TO DO LIST | FRESH TULIPS | SUGAR ROSE LIP BALM | AUGUST, so sad its coming to an end! Happy Wednesday to all! Hope your week is flying by. Mine is kinda dragging but moving faster then I would like, is that weird? I feel like I never have enough time in the day to get everything done that I want to get done. Monday night I fell asleep while studying at 7:30 pm, N even called me at 9:30 pm wanting to know if I died! ha No honey I didn't die, just extremely tired! I had to be at work at 5am yesterday, so going to bed early didn't hurt me & I actually felt super refreshed when I woke up! that was a first since I am the worlds biggest night owl, GO ME! oh & to my surprise yesterday was a short day -- I was done at 11 & was able to have lunch with my daddy + catch up on life. The rest of the day consisted of: power napping, studying at the coffee shop until I had to go to volunteer training, driving home in a monsoon that consisted of purple lightning + driving through 2 feet of water, scarrrry. & making it home in time to TRY & get work done but instead I attempted to paint my nails with my roomie + failed miserably because of my impatient mentality which resulted in me taking it off. FAIL. I will try it again today! :] & well for the rest of the week I will be attempting to cram my bootay off for my exam friday + then it is off to DC to see my N & spending a weekend relaxing & not thinking about Family Medicine for as long as I can! how is your week treating you? In "pinteresting wednesday", "pretty little things i love"
This handsome man of mine is turning 29 today! I love this man more than anything in the entire universe & I am so blessed to have him in my life. There are so many days where I wish we had a 'normal' relationship & I wasn't living three hours away, but January will be here before we know it! & I am kinda disappointed that I can't be there to spend the day with him, but I have some surprises up my sleeve! I can't spill the beans juuuust yet, but I will be sure to let you know how it all turned out :] & FYI: I may be MIA until next week due to the fact that I have a final exam on Friday & THIS girl needs to get some serious studying in by then! This last week my mind has been swamped with studying & trying to get my design business blooming! & to be honest I feel like I can never keep up with it all! & that's where inspiration keeps me trucking! Am I right? & when I have do have the time to veg out & relax pinterest & magazines come to my rescue! Ever since Nick & I picked out the flooring & counter tops last Friday for the new house I can't seem to get enough of looking at pretty rooms/bathrooms/kitchens/offices/dining rooms/EVERY-KIND-OF-ROOM! ha I can-not-wait to decorate! eekkkk. so fun! & Recently, I have been going through my closet & picking out outfits I want to style for outfit posts, but this girl hasn't had time to wear them! So I can't wait to relax after I take my exam on Friday & go on a date with my main man & get all glamoured up! ;] Oh & because of this London EVERYTHING since the Olympics started, I have been dying to go visit! one day! A girl can dream right? it's wednesday! keep truckin' through the week beauties, Friday will be here before we know it! 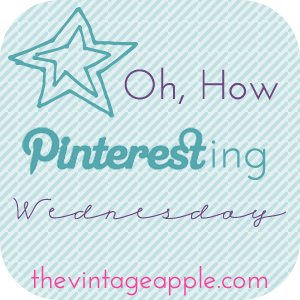 In "currently", "note", "pinteresting wednesday"